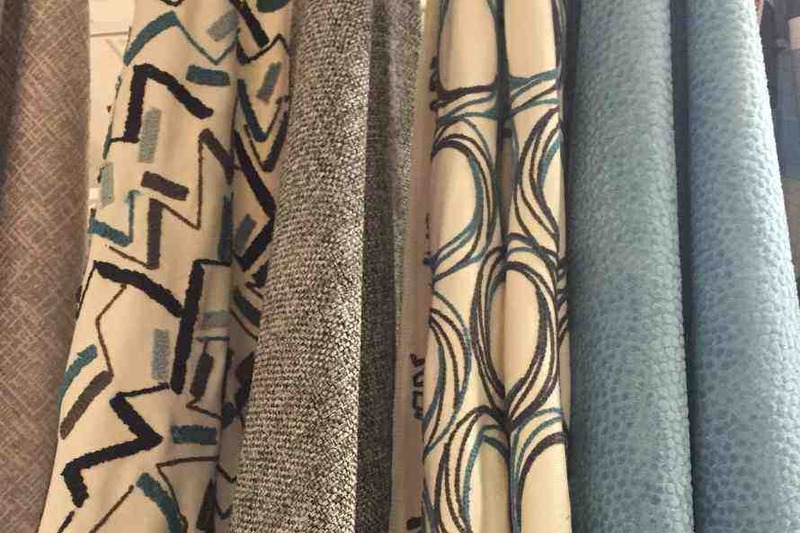 The Los Angeles International Textile Show for spring/summer 2019, which ran March 5 - 7th, 2018, celebrated its 25th Anniversary by showcasing a variety of fabrics, including interesting applications for the home fashions market. 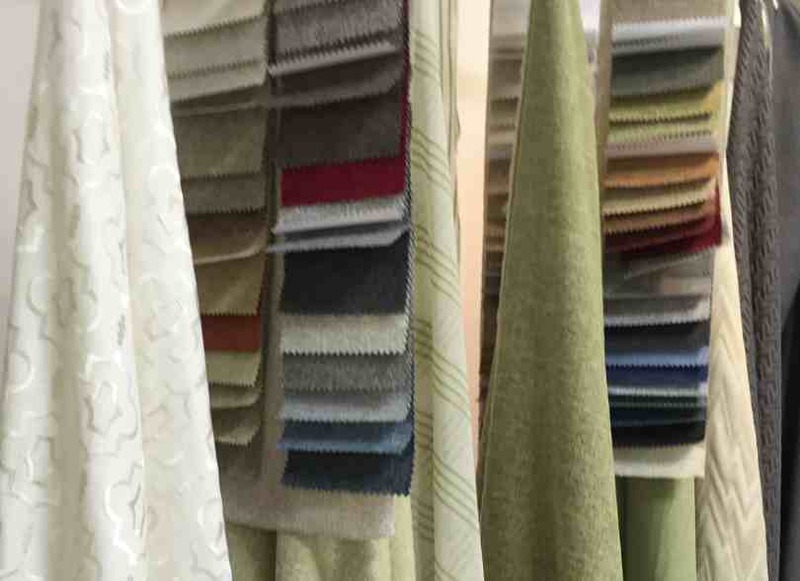 The FabricLink Network highlights several of the important home dècor color and fabric trends, and reviews some of the companies exhibiting fabrics for home dècor, upholstery and window applications. JEWEL TONES - Bold colors and jewel tones are important. Rich colors and shades throughout the home make muted furnishings and interior decor pop. Tonal reds, pinks, bold yellows and organic greens make dramatic statements, while providing a complimentary contrast and offering a warm inviting feel. 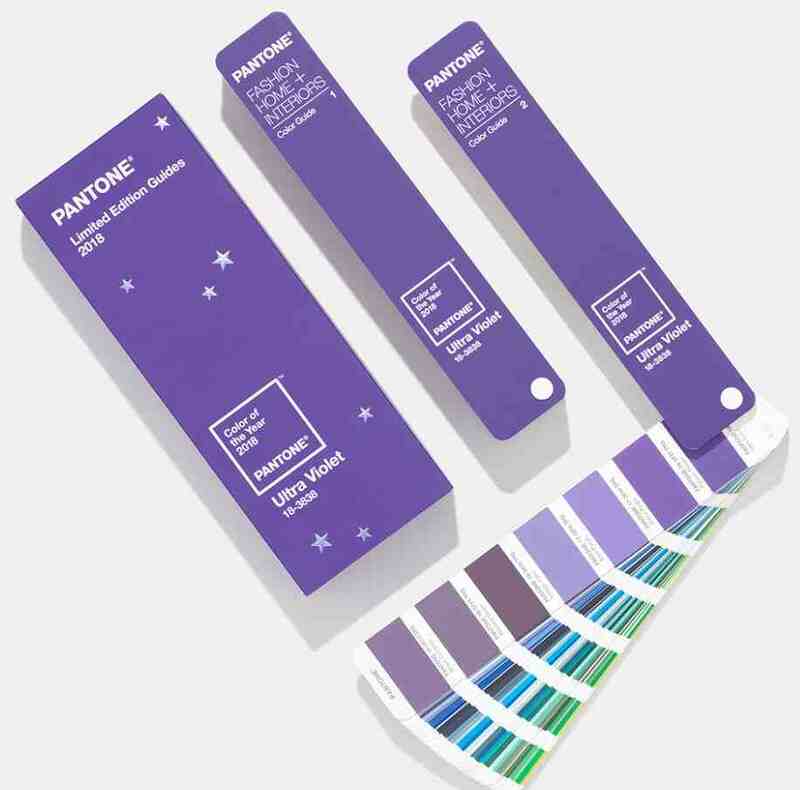 Pantone's Color of the Year for 2018 - - Ultra Violet Pantone #18-3838. PANTONE COLOR OF THE YEAR: Ultra Violet - Pantone #18-3838: According to PANTONE, this bluish-purple color symbolizes experimentation, and non-conformity, spurring individuals to push boundaries through creative outlets. Another important color to watch, which falls under the Jewel Tone category, is referred to as “Millennial Pink”. BLACK & WHITE - Classic combinations of black and white are a timeless design trend that provides a sense of balance and boldness for the interior space. GREY - This is the neutral of choice for many interiors. Color is bolder this year with use of jewel tones as complements on both walls and furniture pieces. GREY - Important accent color. NAVY BLUE - This is the hottest color in design right now. Navy is always a safe and strong neutral, and an alternative for something other than beige. TEAL - This color can also act as a neutral. Teal can be combined with just about any color (i.e. red, blue, pink, yellow, and even orange), and works well in everything. KALE - This color is one of the most healing colors for the home, and is springing up everywhere. Kale started out as a small pop of color, and is now taking center stage in upholstery as sofas, chairs, and ottomans. PEONY - This lovely blush color has always played an important role in the background. Pink is another healing color that can provide a calming effect in the home. Peony is a great hue that can also yield an unexpected pop within an upholstery pattern! BEIGE/BROWN/WARM NUETRALS - Beige doesn't have to be boring. Depending on the shade/tone of beige used, it can alter the mood of a room. VELVET - This traditionally “old-fashioned” fabric is now viewed as a luxurious yet funky, and is gaining a lot of attention. Many designers believe that velvet decor will become one of 2018’s top trends. The need for comfort and fabrics that provide a textured, tactile feeling provides the platform for the rise in plush fabrics, with velvet being the key fabric across a variety of home interiors. BOLD FLORAL PRINTS - Contrasting floral patterns with natural textures and neutral palettes stir up a new kind of charm and offers fresh sophistication to 2018 homedècor. Copper accents, with red and orange tones and overall earthy hues, provide a much-needed breath of fresh air for this year’s floral patterns. GEOMETRIC PATTERNS - While geometric patterns are not a new trend, geometric patterns and windowpane checks provide a dramatic presence in home decor. Colors will be bolder with oversized patterns. MID-CENTURY MODERN CHIC FABRICS - Many old vintage design trends come back in style during 2018, in fabrics such as velvet, bold floral prints and geometric patterns. Designers anticipate that this chic dècor, utilizing warm color palettes, funky textures, and abstract silhouettes, will bring a novel personality into any living room or bedroom design. Sustainable Fabrics - Lab grown, animal-free leather made from genetically-engineered bioleather materials. 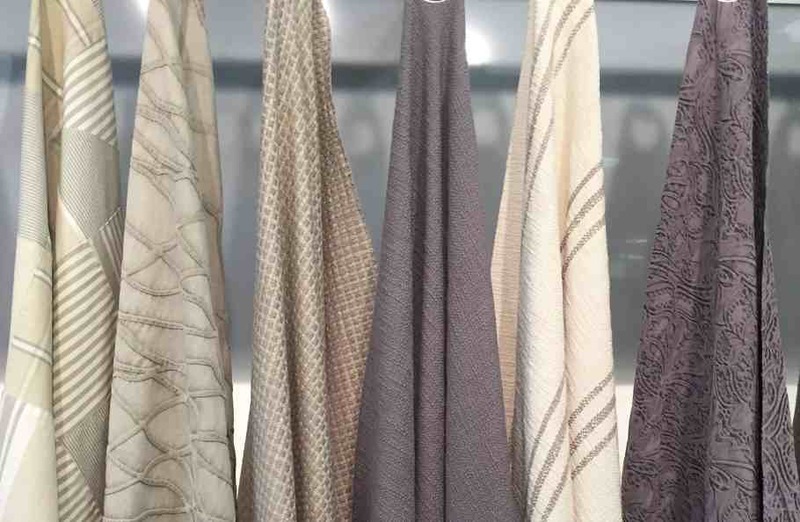 The FabricLink Network looks at some of the companies that exhibited a variety of interior fabrics for home dècor, upholstery and window applications. 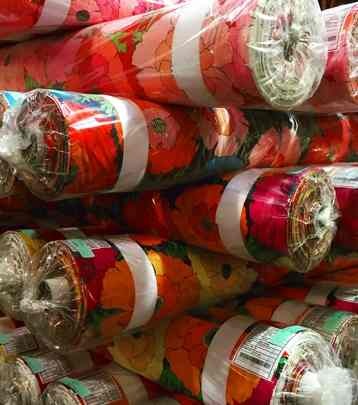 Alexander Henry Fabrics is a top textile design house, producing cutting-edge, original cotton prints. Located in Burbank, California, Alexander Henry works with a diverse group of manufacturers spanning the accessories, garment and home furnishings industries. As a favorite of manufacturers and home-sewers, the company's collection embraces a wide range of themes inspired by art history, runway fashion and the culture at large. At the show, AH Fabrics featured its premier collection of decorator-weight designs upholstery fabrics for the home, printed on 45" inch 100% cotton oxford. At 8.7 ounces per square yard, the company's crispy cotton oxford can cover a couch, or add some punch to a decorative pillow. Regal Fabrics: Regal Fabrics creates beautiful woven and print upholstery fabrics that are designed and copyrighted in the US and manufactured in Europe and China under exclusive agreements with weaving mills. The company's design studio and operations are based in Middleton, Massachusetts, where the company services many furniture /home furnishings manufacturers and fabric distributors. fabrics for the home from Noveltex. Noveltex is a Los Angeles based linen wholesaler that provides high quality linen fabrics for a variety of applications, including the home. The company is a brand name converter for Eco-Friendly Linen with an open stock program for dyed and printed linen. 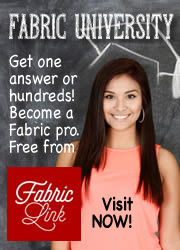 Presenting a broad array of high-end European linen fabrics, Noveltex dyes and prints in the United States. The company can also provide a variety of finishes and offers a line of color-coordinated trims and tassels specially designed to match its prints and solid linen fabrics, or custom colors and prints. in linen/cotton and poly/cotton blends. 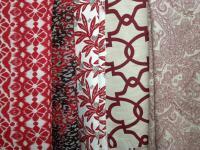 Diversitex, Inc. is a family-owned decorative fabric converter based in Fairfield, New Jersey. Founded in 1970, the company, recently expanded its business through the acquisition of Benartex Home, a Rhode Island based supplier of creative 100% designer cotton prints for home dècor, quilts and craft applications. The Diversitex line consists of fabrics for the home, and also provides fabrics to the US Government for use in military uniforms. At the show, Diversitex showcased a line of 55% linen/45% cotton upholstery fabrics, cotton/poly/ linen jacquards, and glitzy 100% polyester embossed fabrics. available for drapery and furniture appications. Crestmont Fabrics is a worldwide fabric resource for fabrics targeted towards the home furnishings, furniture and contract/ hospitality markets. 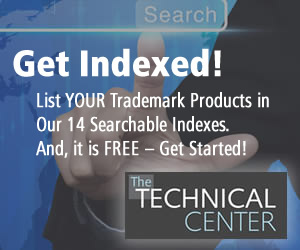 Based in New York and family owned since 1984, the company offers a broad range of window covering collections in 100% polyester, cotton/poly blends, linen looks, and decorative embroidery fabrics for draperies and furniture, as well as certified FR fabrics for the healthcare and hospitality markets. Crestmont also maintains a creative studio to create custom fabrics.